From one of the leading lights of contemporary Latin American literature a lush, lyrical, deeply moving story of a young woman whose passion for the early sounds of tango becomes a force of profound and unexpected change. February 1913: seventeen-year-old Leda, carrying only a small trunk and her father's cherished violin, leaves her Italian village for a new home, and a new husband, in Argentina. Arriving in Buenos Aires, she discovers that he has been killed, but she remains: living in a tenement, without friends or family, on the brink of destitution. Still, she is seduced by the music that underscores life in the city: tango, born from lower-class immigrant voices, now the illicit, scandalous dance of brothels and cabarets. Leda eventually acts on a long-held desire to master the violin, knowing that she can never play in public as a woman. She cuts off her hair, binds her breasts, and becomes Dante, a young man who joins a troupe of tango musicians bent on conquering the salons of high society. Now, gradually, the lines between Leda and Dante begin to blur, and feelings that she has long kept suppressed reveal themselves, jeopardizing not only her musical career, but her life. 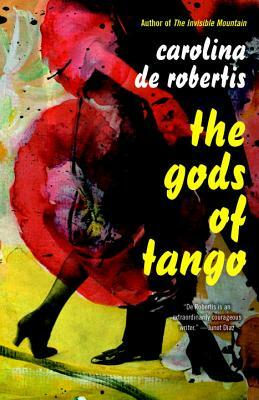 Richly evocative of place and time, its prose suffused with the rhythms of the tango, its narrative at once resonant and gripping, this is De Robertis's most accomplished novel yet.